UTAR students successfully secured two grants in the Project for Happiness, an initiative by Khind Starfish Foundation to address the root cause of poverty and poor education towards the enhancement of happiness in society. The team comprising Actuarial Science student Lee Ming Yao, Chemical Engineering student Khe Kwan Leen, and Accounting student Wong Chiaw Yeeng as well as the single-member team of Public Relations student Ong Ling Cui received the grants of RM 8370 and RM6660 respectively. The first team’s project entitled “Understanding Culture through Mask Making” was inspired after attending the theatre class as an extracurricular subject in UTAR. 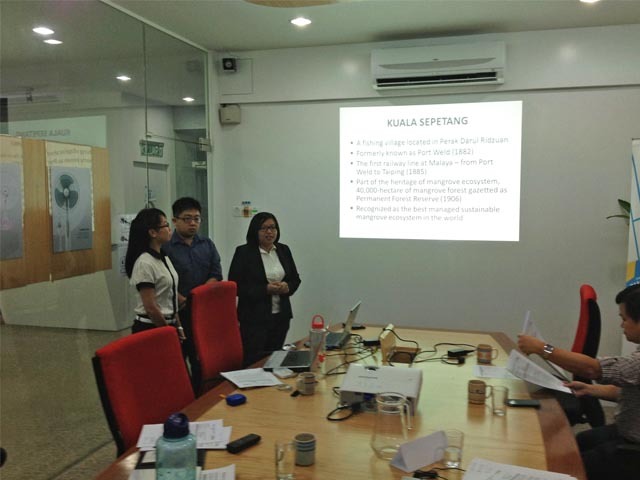 The team decided to work on the project to raise the awareness on local culture with the guidance of UTAR Soft Skills and Competency Assistant Lecturer Nurulain Binti Mohamad Salihuddin. “We chose to promote the art of mask making because we realised that the community is still less exposed to the beautiful craft,” said Lee while expressing his hope to see the community supporting the project to promote Malaysian culture. Both the teams expressed appreciation to Khind Starfish Foundation for the opportunity to actualise their project as well as the financial support. Early in April this year, the students submitted a written paper which described the project including the budget, expected outcomes and prospects for the future impact. Upon selection, they had to raise a minimum of 10% of the total project cost before the grants were awarded in July 2014 where selected projects were funded up to a maximum of RM10, 000 each. 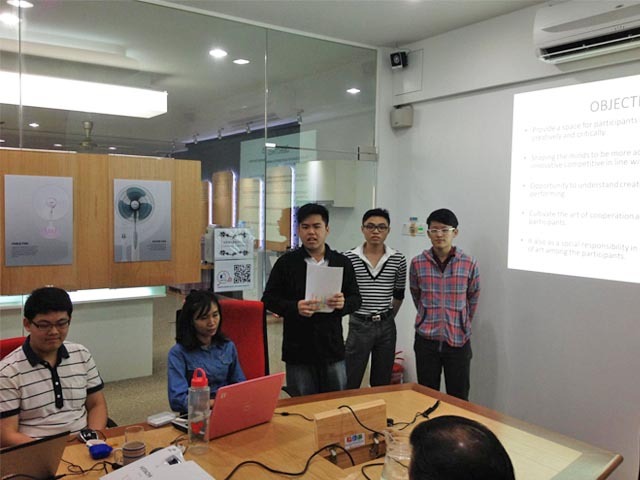 The selected teams have to complete their proposed projects by 31 October 2014, prepare final reports by 15 November 2014 and partake in the project exhibition on 20 December 2014. Project for Happiness by Khind Starfish Foundation is opened to all undergraduates in Malaysia to design grassroots projects for the year 2014 and these projects can be carried out anywhere in Malaysia. Students are encouraged to use their creativity and employ innovative techniques to engage project participants in ways that focus on education, poverty eradication and cultural & performing arts.